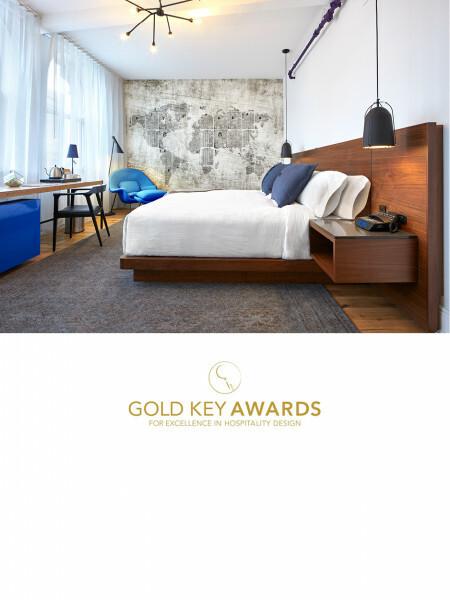 "The Gold Key Awards for Excellence in Hospitality Design are the industry’s oldest and most prestigious honour. The awards recognize the most influential and innovative design work in every sector of the hospitality industry, honouring the visionary firms who created the most innovative projects of the year." The Walper Hotel, in collaboration with Jill Greaves Design Inc., was a finalist in the Best Guest Room category among nearly 400 entries worldwide.